This is a real retro charmer from Enfield that would make an ideal sunny Sunday companion that far from breaks the bank. The Woodsman was Enfield’s take on a kind of semi off-road bike and looks superb. Built by the then UK importer of Enfields, Watsonian Squire, the Woodsman arrived in the UK as a stock Bullet 500 before Watsonian added touches such as the single seat, rear rack and higher bars to create the Woodsman variant. 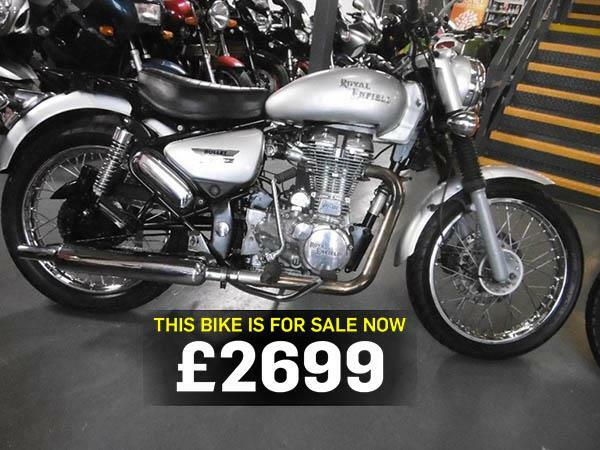 You can see this Royal Enfield and find more Woodsmans for sale here.